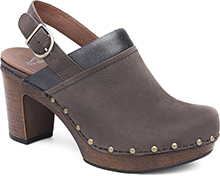 The Dansko Mosaic Leather from the Willa collection. 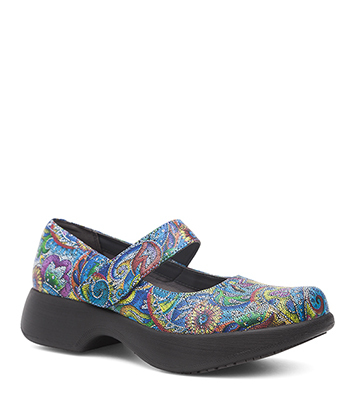 The Willa provides nonstop comfort and style with leather uppers, moisture-wicking and odor-controlled linings, removable lightweight footbed with Dansko Natural Arch technology, and slip-resistant rubber pads. Leather is a smooth leather with a delicate finish. Dansko's Whitney outsole has been tested for Slip Resistance by Precision Labs using the Mark II machine.